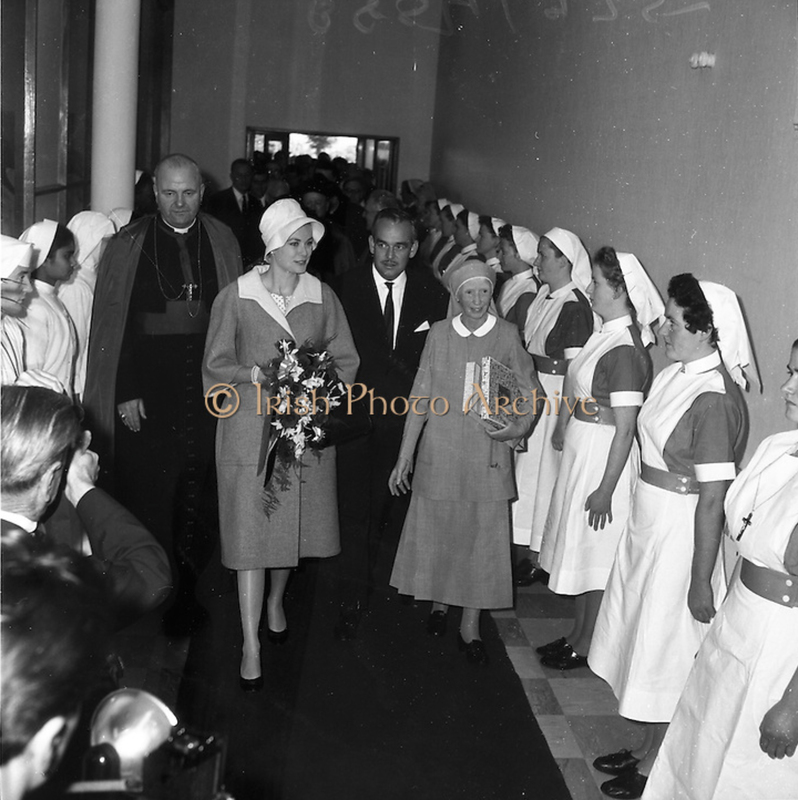 As discussion has been on-going regarding changing the name of Our Lady of Lourdes Hospital in Drogheda, Co. Louth, we are reminded of the visit to the hospital by Princess Grace and Prince Rainier. Our photo archive has some great images of this visit we wanted to share. 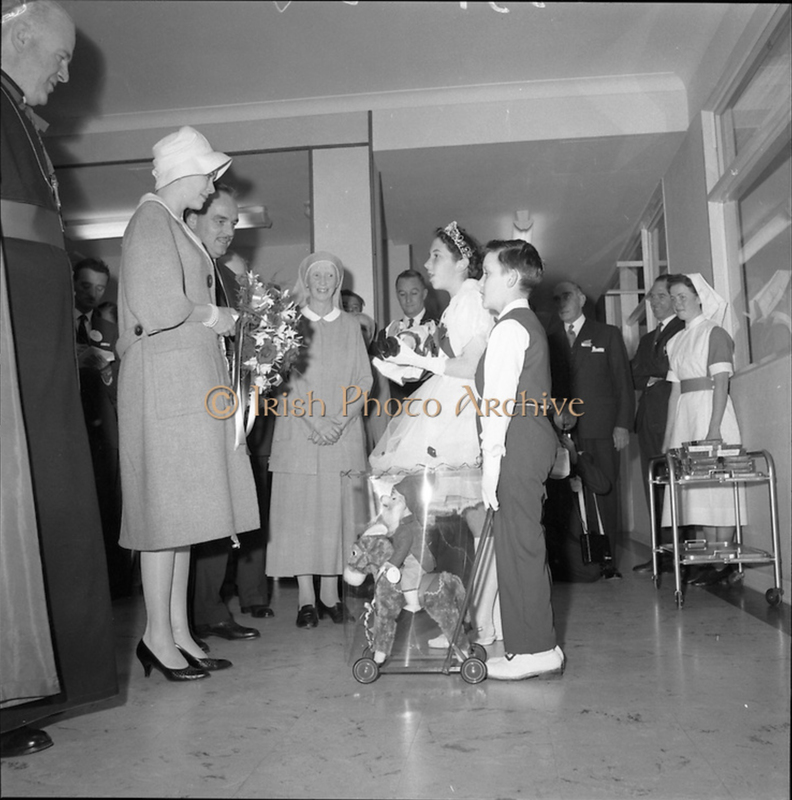 Princess Grace and Prince Rainier made a state visit to Ireland in June, 1961, and made a stop at the 4-year-old hospital in Drogheda. Mother Mary Martin, who helped found Our Lady of Lourdes hospital, showed the royal visitors around, as they visited patients and received gifts from local children. The 1961 visit remains very important to Our Lady of Lourdes Hospital and Drogheda. The Princess Grace Rose Garden was created in 2017 in memory of the visit, and Prince Albert II has written about his family’s “everlasting friendship with the Irish people”, sharing the importance of the 1961 visit to both the royal family and the local community. You can search our photo archive for many more pictures from Ireland’s past. Lensmen also offers a variety of photography and videography services, including PR photography. Please contact us at 01 8197738 to find out more about our services.